The Ministry of Foreign affairs of Georgia has introduced the special web-page for verifying visa requirements for foreigners travelling to Georgia. Please address the following link to check your individual requirements. 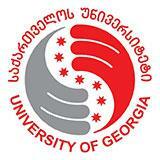 If you need a visa to enter Georgia, the International Students Office will provide you with all the required and supporting documents. Please consider that for acquiring a Students Visa you must be enrolled at the UG! According to the Ministry of Education and Science of Georgia the enrollment procedure takes up to 3 weeks and the visa processing – up to 4 weeks.